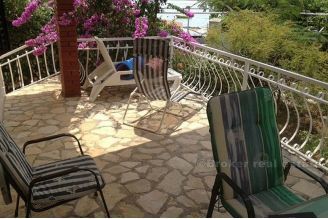 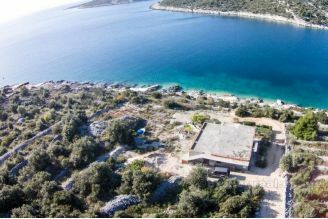 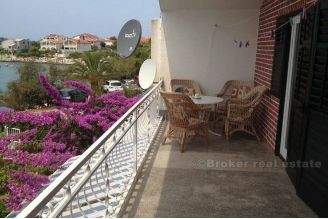 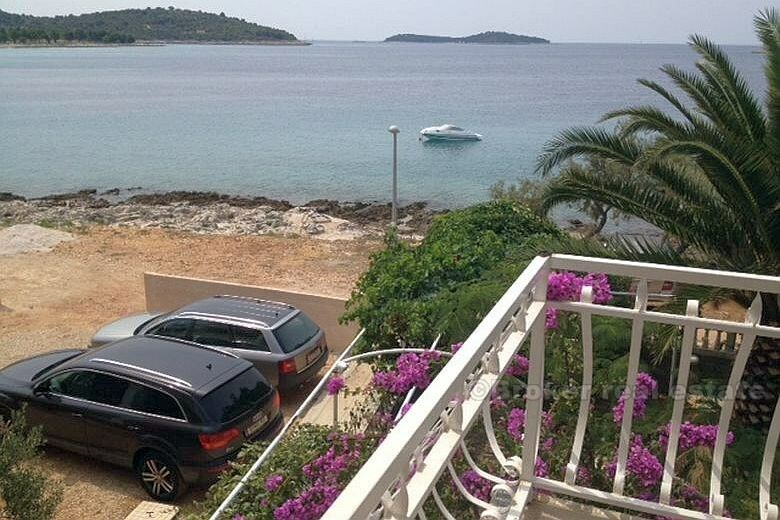 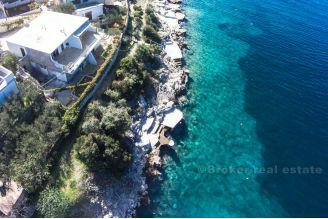 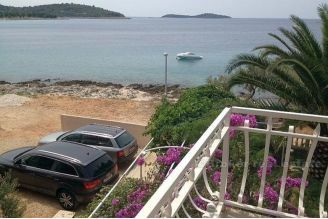 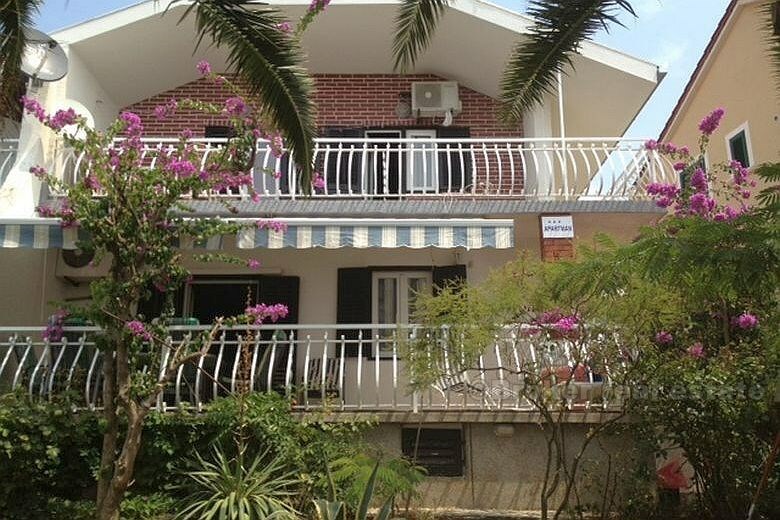 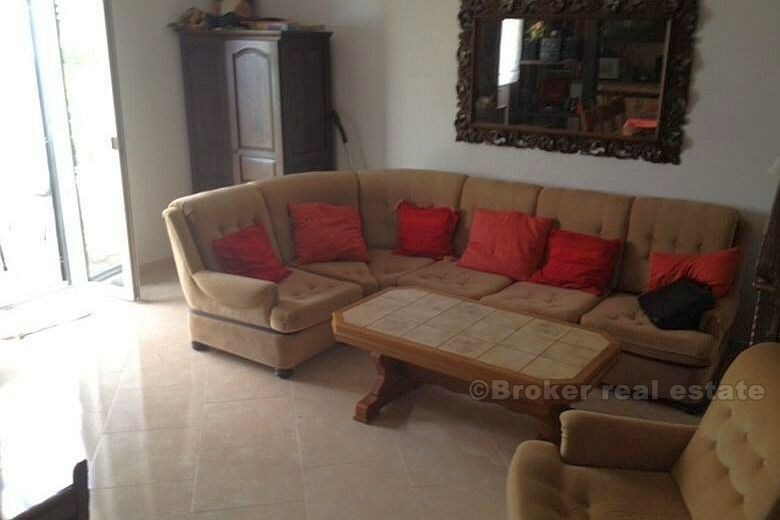 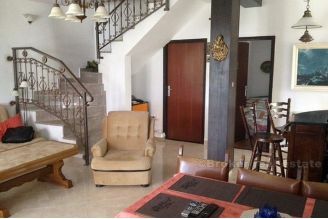 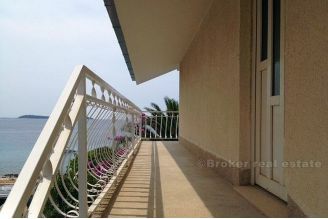 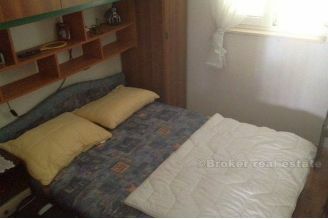 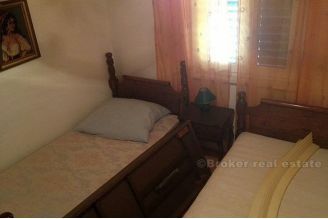 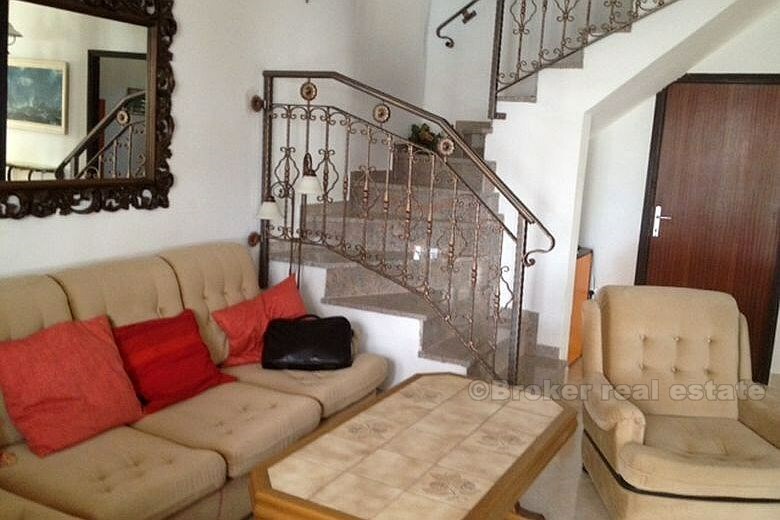 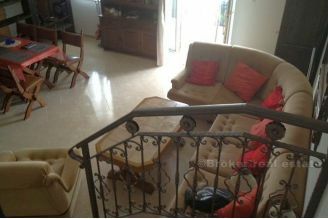 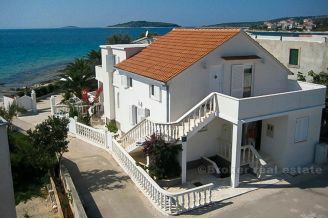 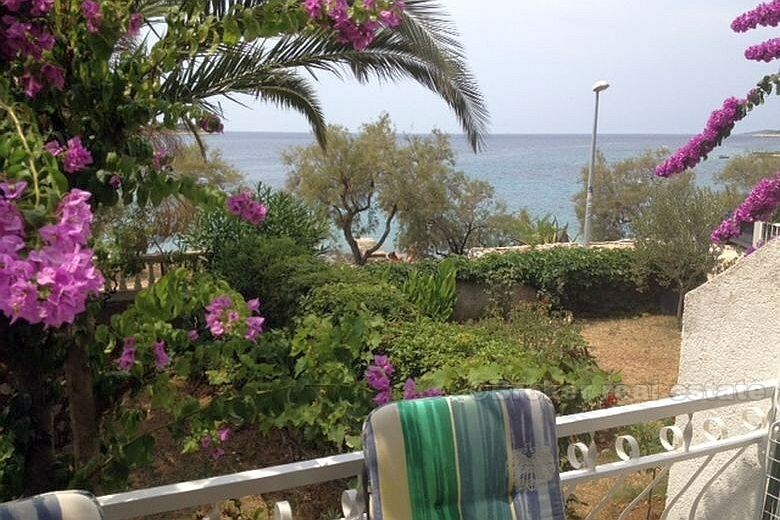 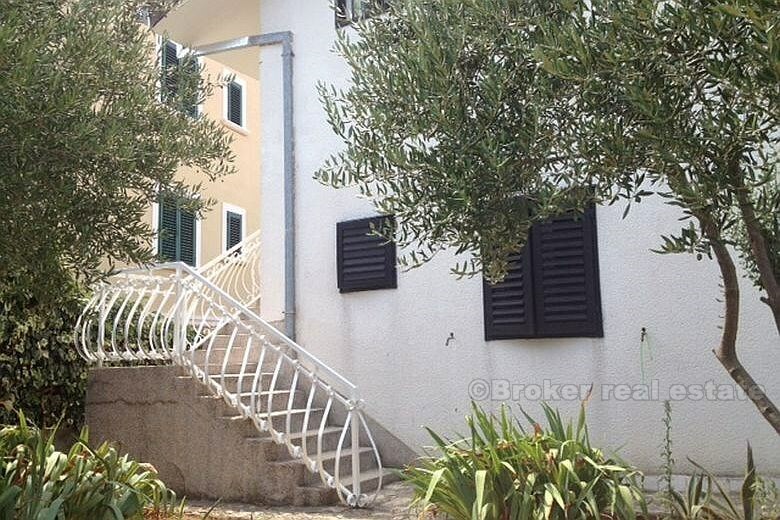 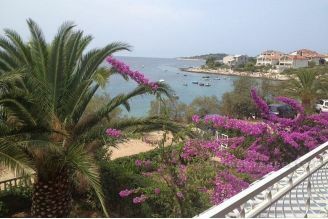 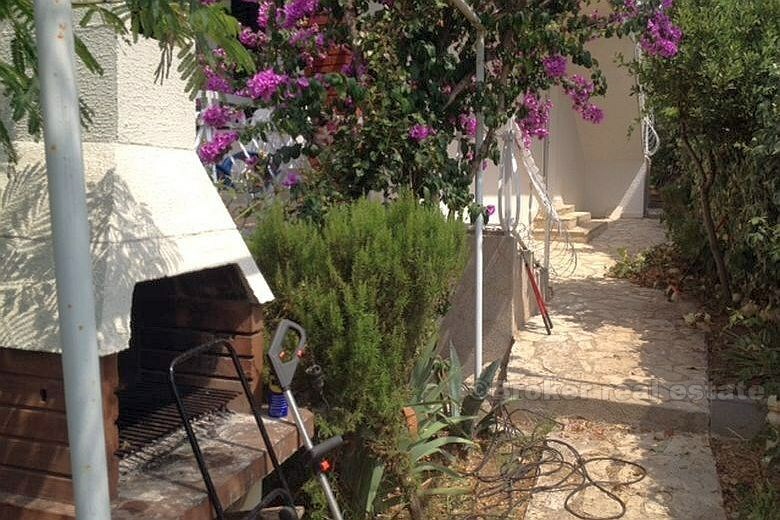 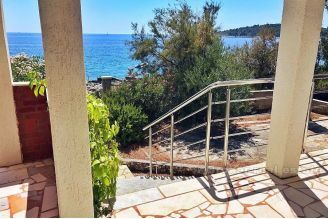 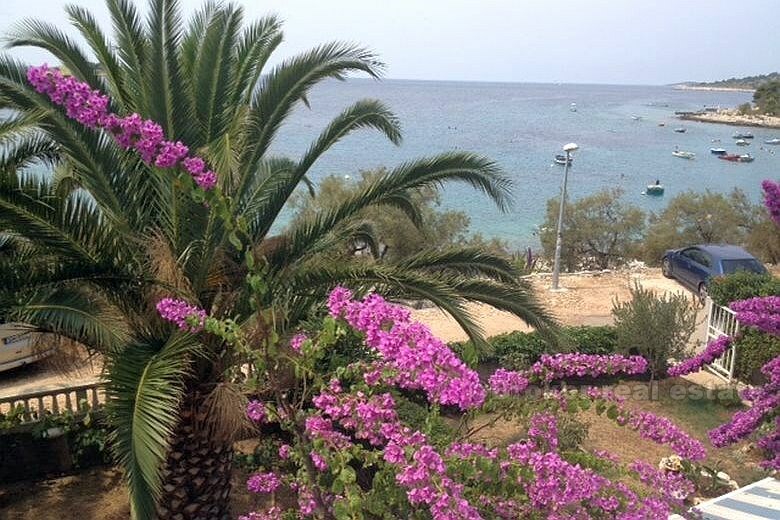 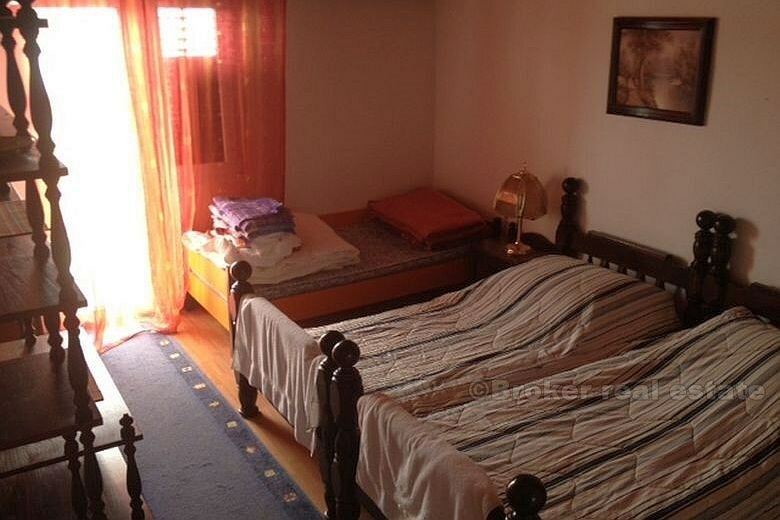 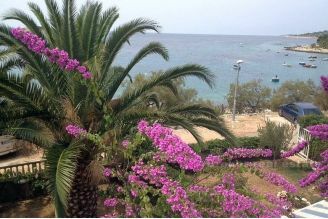 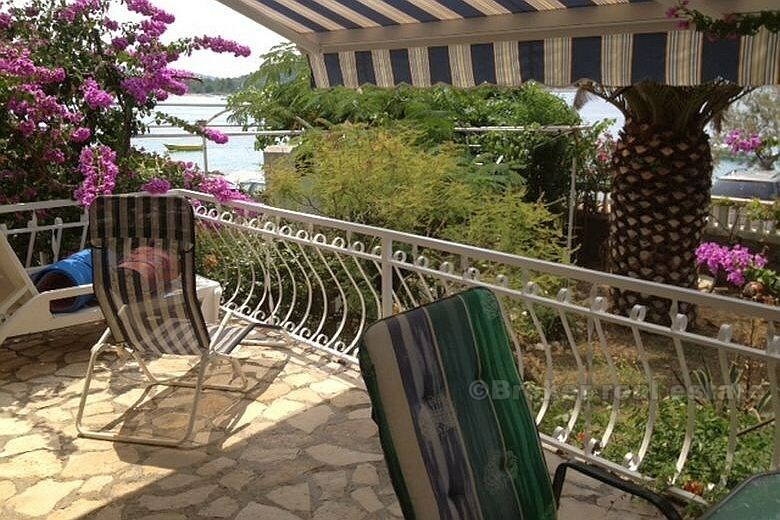 A semi-detached house on an excellent location, first row to the sea, right by the sea. 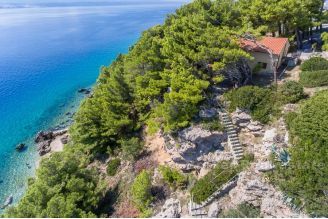 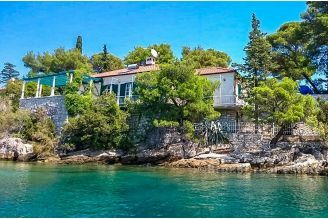 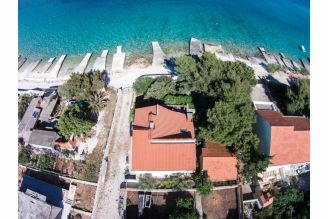 The house is of the surface of 144 sq m and consists of 2 storeys; on the ground floor there are 2 bedrooms,bathroom, a large living room with a kitchen and a dining room and a large terrace overlooking the beach. 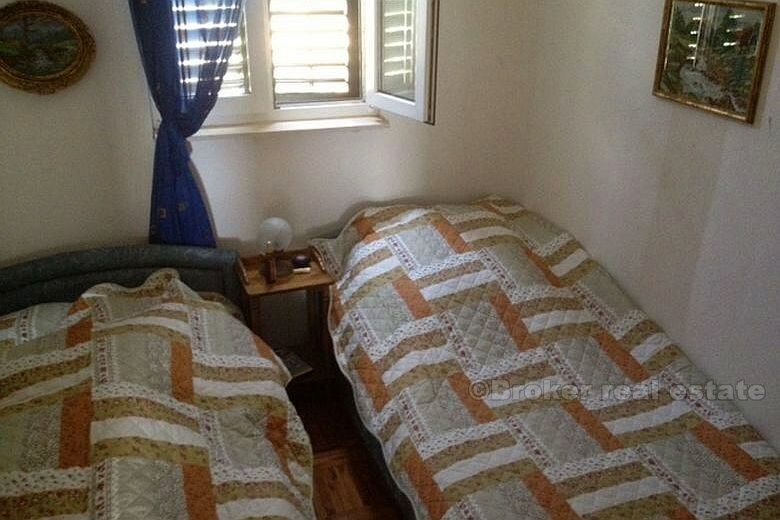 On the floor there is a three bedrooms, living room, a kitchen and a bathroom. The top floor has also an entrance from the outside of the house. 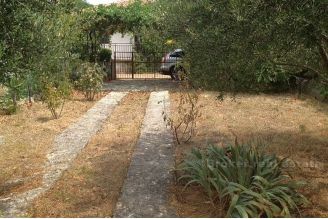 The house plot is of the surface of approx. 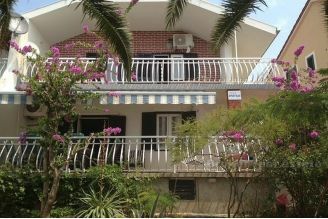 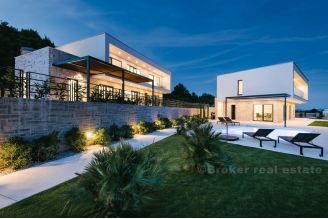 360 sq m, and is landscaped with a rose garden and the Mediterranean plants with palms.